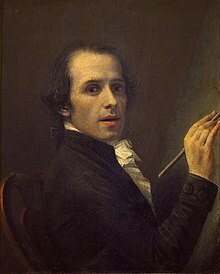 Biography of Antonio Canova is most inspirational and motivational story for me. His father died and his mother remarried when he was 3 years old. He was orphan but he was great passion to become successful in the life. He started to work as cleaner of utensils in a hotel. But in his free time, he learned the art of sculpture. He did not waste his time. He was also expert to capture his opportunity. One day, his owner invited guest in his home. There was big traffic in his home. He saw that there was nothing there for decoration. He started to make Sculpture of a lion with butter.All were appreciated his art. His owner had taken all responsibility for growing his skill after seeing this great sample of his ability. After sometime, he grew his skill and became the great sculptor in the world. From this most inspirational and motivational story, we gained the lesson, when an orphan Canova can become the successful in life by capturing the opportunity, we can also become the the successful in life by capturing the opportunity. So, capturing the opportunity is the guru mantra for succeeding in the life. 1 comment to ''Inspirational and Motivational Video in Hindi"